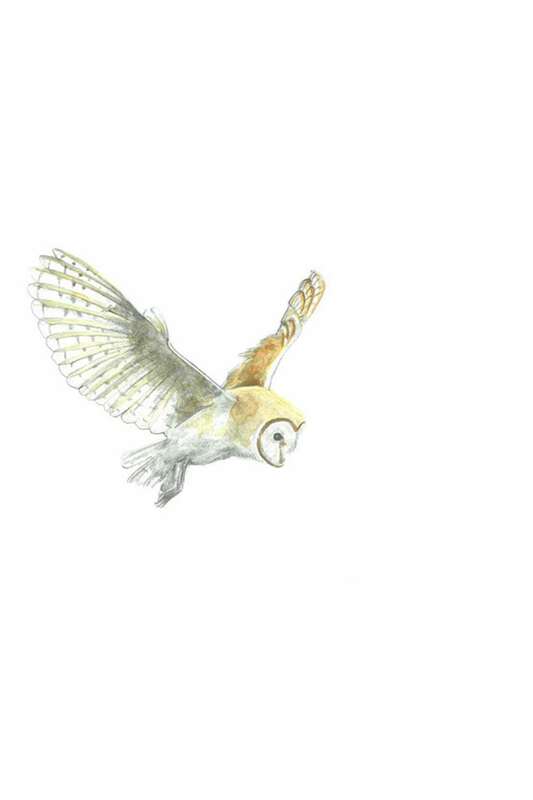 Signed print of a pencil and watercolour drawing of a Barn Owl. The barn owl is one of the most iconic of the British owls, swooping ghost-like at dusk. Size of Print - 4" x 6"
Size of print including mount - 8" x 10"